The much awaited 2016 ICC Cricket Awards, which rewards the very best international cricketers in their respective categories were announced on Thursday. The awards brought great delight to billions of Indian cricket crazy fans with Indian ace off-spinner Ravichandran Ashwin bagging the ICC Cricketer and Test Cricketer of the Year. Meanwhile South Africa's Quinton de Kock bagged the ODI Cricketer of the Year award. The Indians were also delighted to have the troika of Virat Kohli, Rohit Sharma and Ravindra Jadeja making the cut into the ODI Team of the Year. While it was a matter of great honour for the Indian Test skipper for leading the ODI Team of the Year, the cricketing fans across the country were bewildered and left wondering by the exclusion of Virat Kohli from the Test team of the Year. Virat Kohli was seen as a front runner to get into the ICC Test team of the year considering his spectacular form with the bat besides making the Indian Test team a fortress at home under his aegis. Kohli was pitched in a intense battle with the likes of Joe Root and Kane Williamson to bag a place into the ICC Test team. While both his contemporaries were suitably rewarded with a place, the Indian Test captain would feel a little hard done for not making cut. Though the Indian captain hasn't placed a foot wrong in 2016 as he has led the Indian team to five successive Test series wins but the Indian skipper's Test record for the period taken into consideration (September 14, 2015, and September 20, 2016) hasn't been that impressive. It is notable that the ICC Test team is selected on the basis of records between September 14, 2015, and September 20, 2016. Kane Williamson had a great 2015, coming up with an average of 90.15 from 16 innings. Meanwhile Virat Kohli averages 42.66 off 15 innings in 2015. So a relatively sedate run of form in 2015 could be the deciding factor behind him not getting selected. Kohli has had a dream 2016 as Indian captain with the Test team remaining undefeated throughout the year. His aggressive and instinctive qualities have been instrumental in shaping up match winning strategies for the Team. Talk about his form with the willow, that too has catapulted to a new level. As a matter of fact, he became the first Indian captain to score three double tons as a captain, that too in a single year. 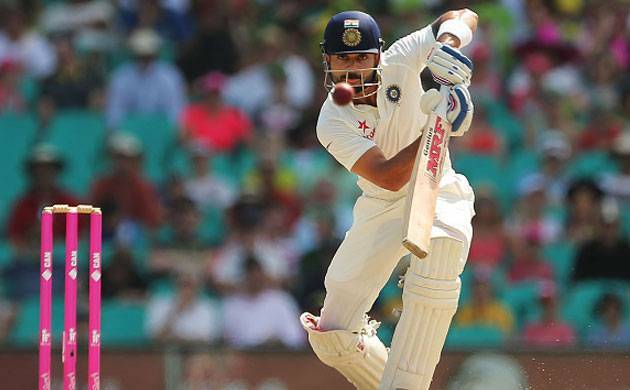 Kohli just led India to a 4-0 series win over England in the five-Test home series. He scored 655 runs in the five Tests, at a whopping average of 109.16 with a highest score of 235. He scored 1215 runs in 2016 from 12 Test (18 innings) at an average of 75.93, with four centuries and two half-centuries. So going by the numbers presented above, there are two sides to the coin in Kohli's cricketing performance so it becomes hard to decipher as to why the Indian captain missed the cut to be placed among the very best for the year. Nevertheless, the Indian captain is known to have a strong resolve and fighting spirit and in all likelihood shall come back stronger in the next season to vie for the top cricketing honors.